Online ordering hubs and delivery centers. Places like GrubHub and Uber Eats and even Craigslist are great places to find your first customers. In fact they are great places to find steady customers. You do not have to have a restaurant to be on many online websites. The proper use of online ordering hubs and delivery centers or services will attract revenue from the start. Keep your menu small when you begin. You do not need a large catering menu to start your catering business. The more items on your menu, the more complicated things are, and the harder it is to project your pricing and sales. It is also easier to target a certain demographic, for example, that likes brick oven pizza, and cater to this niche market. Your catering business plan should include a limited amount of menu items to start and how you will expand the menu based on demand. This is even true for catering business plans that are looking to expand from an already-established restaurant. Even though your menu may be large at your restaurant, you may want to consider starting the catering business with a limited menu. Consider giving away free food for your startup marketing strategy. If you have a delicious barbecue recipe or you make an ethnic dish that everyone raves about, that just may be your best marketing tool. Sending trays of food to your local radio stations or TV stations may be a way to leverage under $100 in marketing to gain massive exposure. If your food is delicious, people will find a way or reason to order from your catering business. These are just a few things that I have helped previous clients develop into a business plan for their catering business. 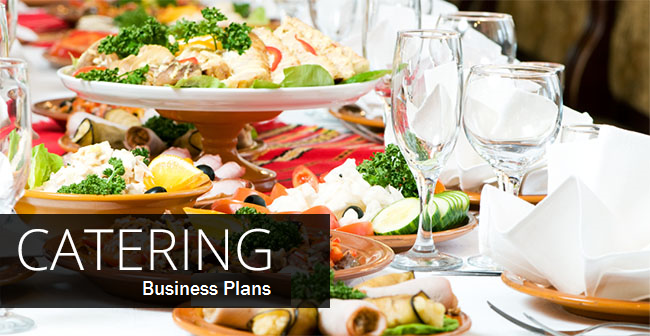 If you are looking to establish a catering business and need a catering business plan, I can help you. Email me at CervitudeNetwork@gmail.com or text or call 203-685-0346. If I do not pick up please leave a message, the fastest way to get ahold of me is to text me and let me know when you are free to talk. Talk soon. In addition my catering business plan writing service, I can form your business by starting your LLC or corporation. Text/Call/Email now.